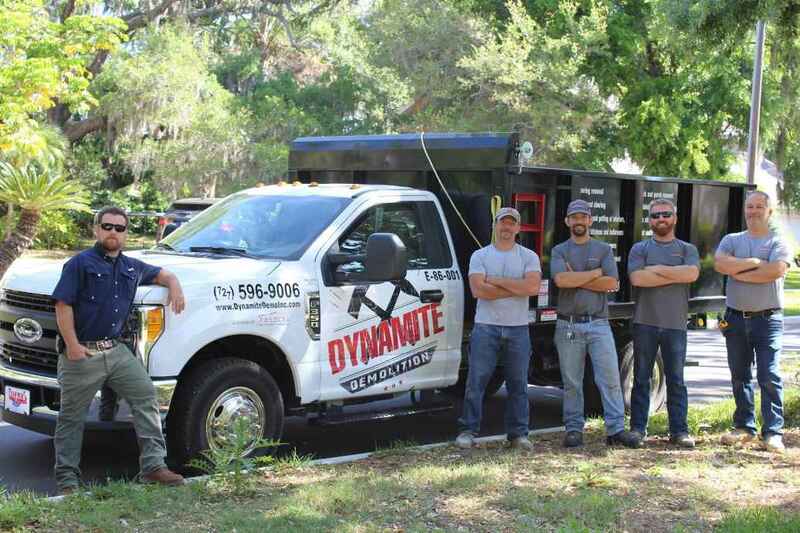 Demolition contractor, Dynamite Demolition Service, is applauded for providing one year of turn-key reliable demo services in the greater Tampa Bay Area. Dynamite Demolition Services Inc. ready to handle your demolition needs. CLEARWATER, Fla. - Feb. 7, 2019 - PRLog -- Dynamite Demolition Services, brain child of Building Contractor Greg Nelson, is toasting its one-year anniversary this month. With its office in Clearwater, the team operates in the greater Tampa Bay area. Their turn-key service includes everything from pulling permits to full demolition, disposal and site clean-up. When needed they also erect dust walls so that Contractors and homeowners don't have to worry about anything but creating their dream home. "We needed trustworthy and reliable personnel who performed to our high standards, especially when the homeowners are living in the home during renovations (many do). So we got a dump truck, hired and trained in-house personnel, invested in the best tools, and thus, Dynamite Demolition Service was born," said Greg Nelson, Owner and CEO of Nelson Construction and Renovations (NCR), and Owner and CEO of this demolition company. A full-service strategic interior/exterior demolition company, their services include, flooring removal, structural shoring and/or temporary shoring, interior wall removal, including drywall/plaster ceilings and walls removed, demolition and gutting of interiors, carpet removal, deck and porch removal and more. As word spread about the speed and 5-star quality of their work, requests from homeowners and other Contractors throughout Tampa Bay started pouring in. They wanted the same level of professionalism and reliability they provide to NCR. To request a free estimate or for more information about demolition services you can visit www.dynamitedemoinc.com, visit their Facebook Page or call 727-466-0000. Dynamite Demolition Services, Inc. incorporated one year ago in Clearwater, FL. As a State Licensed Building Contractor serving homeowners throughout Tampa Bay for more than twelve years, owner and CEO, Greg Nelson, knows what is needed when it comes to thorough, safe, and proper demolition. Their License Number is CBC 1255512.